DAVID LE/Staff photo. 3/7/15. 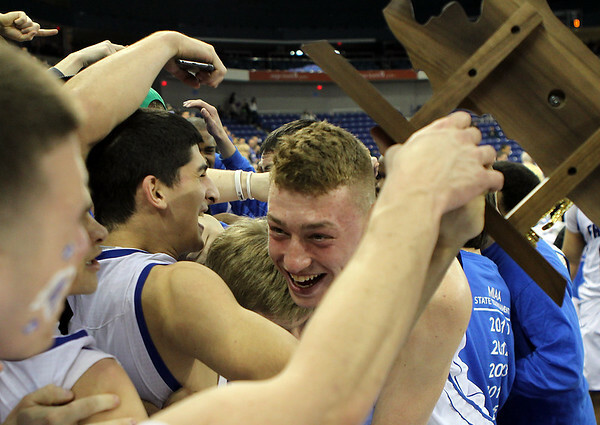 Danvers senior Peter Merry and junior Mike Nestor are mobbed by Falcon fans after they won the D2 North Championship over Arlington on Saturday afternoon.